Head teacher Caryll Resink says when she started at Taitoko it was like a "forgotten centre...on the wrong side of town where no one wanted to send their children" (Northcott, 2010). Determined to turn the centre around, she applied for the Parent Support and Development pilot, a project that was trialled by the Ministry of Social Development and the Ministry of Education that looked to turn kindergartens into a type of hub for the community to come together and form networks. 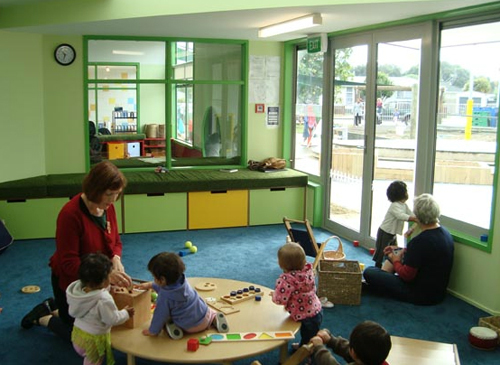 The project ran initiatives such as weekly coffee mornings with parents and guest speakers such as dietitians, dentists and school teachers, where the parents could ask questions (Northcott, 2010). 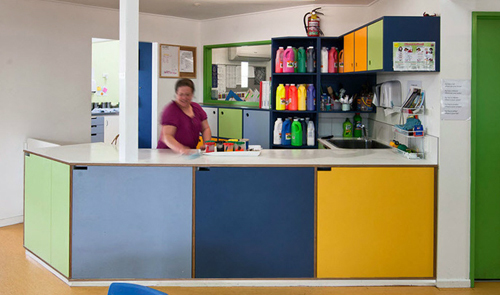 Resink explains that parents are encouraged to come into the centre, make a cup of tea, hang out and learn alongside their tamariki (Torrie, 2008). 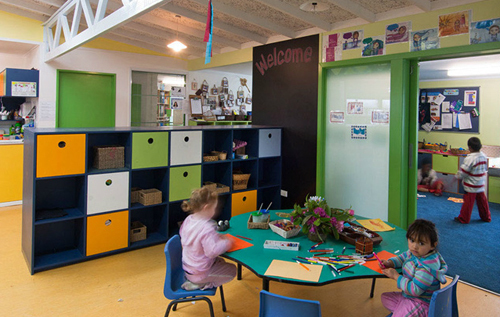 To meet the goal of a 'hub environment' the centres' building also got an upgrade, the interior and an extension to provide an area for under 2's - designed by Wellington-based firm Tennet+Brown Architects. 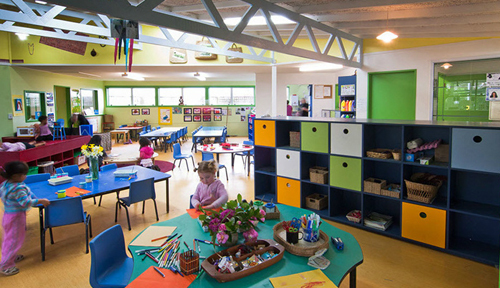 (Who also designed the award-winning Maori Language School - Mana Tamariki - see previous blog post). It has now not only been recognised for its philosophy of fostering community, but has also been named the 'healthiest school at the MidCentral District Health Awards' (Torrie, 2008). 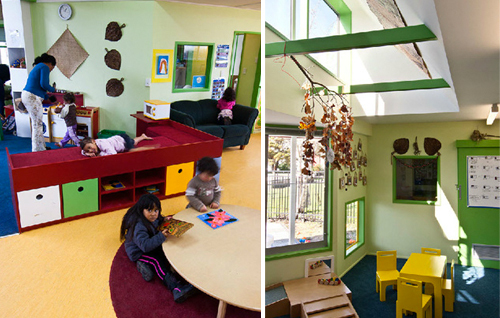 Via Stuff, Wellington Kindergartens, Whanau Family news and Tennet + Brown Architecture.